Buying a server and getting a good value has never been easier. 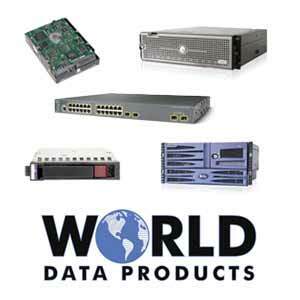 World Data Products sells a wide range of new, used, and refurbished servers and networking equipment for data centers in industries such as healthcare, technology, manufacturing, and education. Our warehouse is full of Dell, HP, IBM, and Cisco UCS server components and parts. Certified technicians test and configure every server to meet each customer's specifications. Looking to buy something more current? Need it fast but at a value price? Our extensive inventory enables us to receive orders and sell server configurations that can often ship same day. Looking for a model or configuration that is not shown on the website? Let us know because we may have the chassis and components in stock but not have it listed here for sale. In addition to sales and repair services, World Data Products also provides buyback solutions for companies that need to sell used servers to an IT Asset Disposition partner. If you have decommissioned or surplus servers for sale and want to work with IT hardware buyers that have experience and a track record of working with data centers of all sizes, you have come to the right place! To learn about our buyback program or to get a price quote, use our contact form and let us know what you are looking to sell.